ONI DINO UAMOU RED & GREEN! It is time to chase the demons out and have good luck come inside your house for it is almost the third of February on which Japan celebrates Setsubun*. 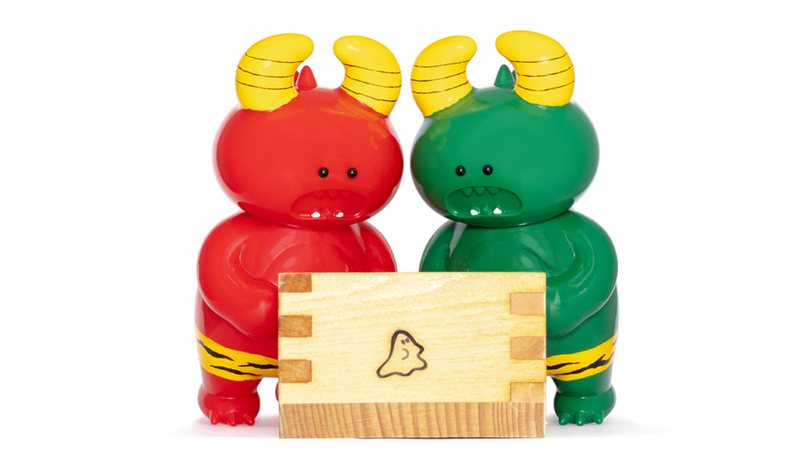 To celebrate the coming of spring we have prepared the 5th series of ONI UAMOU. As Carefully hand painted by Ayako Takagi, the limited edition of ONI DINO UAMOU is very special indeed and will be available only on this Sunday, February 3rd at our Atelier Shop. ※ Please always follow the instructions of the attendants. ※ We might limit the number of purchase per person. ※ If there is a waiting queue, we will hold a lottery to decide entry order at 11:00. ※ Customers who draw the number larger than the number of the item we prepared in lottery are also guaranteed to obtain it but please note the delivery would be at a later date in that case. ※ Items will be sold as long as stock is available. ※ Studio Uamou CANNOT take online order. * Setsubun is the day before the beginning of Spring and it means literally “Seasonal Division”. 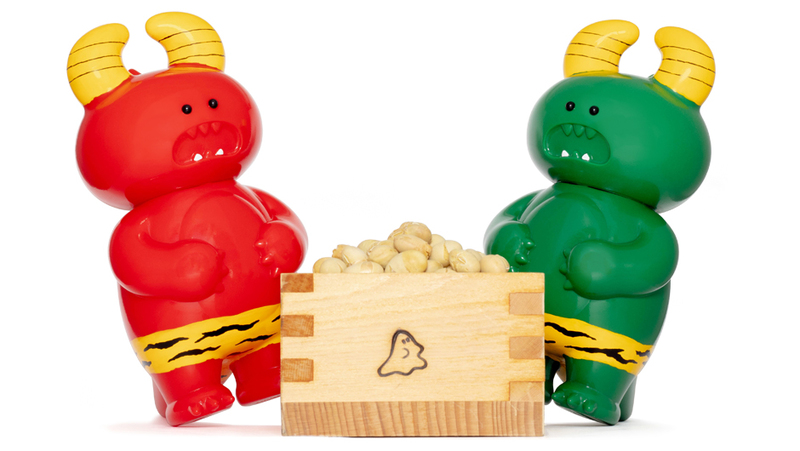 Spring Setsubun is accompanied by a special ritual to cleanse away all the evil of the former year and drive away disease-bringing evil spirits for the year to come. This special ritual is called “Mamemaki” which means “Bean Scattering”. The ritual is usually performed by the male head of the household. Roasted soybeans are thrown either out the door or at a member of the family wearing an Oni (demon or ogre) mask, while the people say “Demons out! Luck in!” and slam the door.